I was shocked to discover how SIMPLE it is to prepare asparagus. Seriously, it’s so SIMPLE I feel a little silly posting about it, but hey, maybe some of you don’t know either. 1. 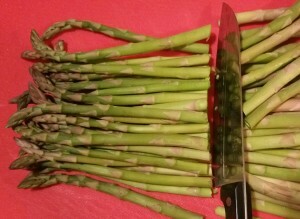 Trim asparagus. Some people bend the spears until they naturally snap. 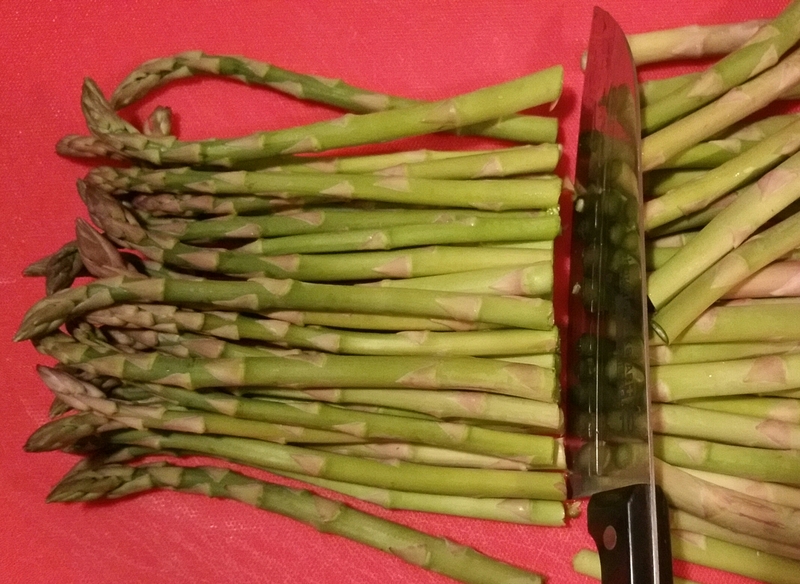 I just slice them to the same length to fit my serving platter. 2. 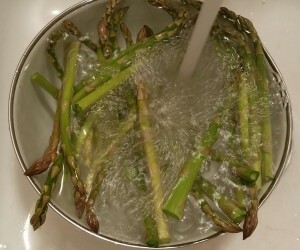 Rinse the asparagus well and add to boiling water. 3. For thin spears, boil only a minute or two. 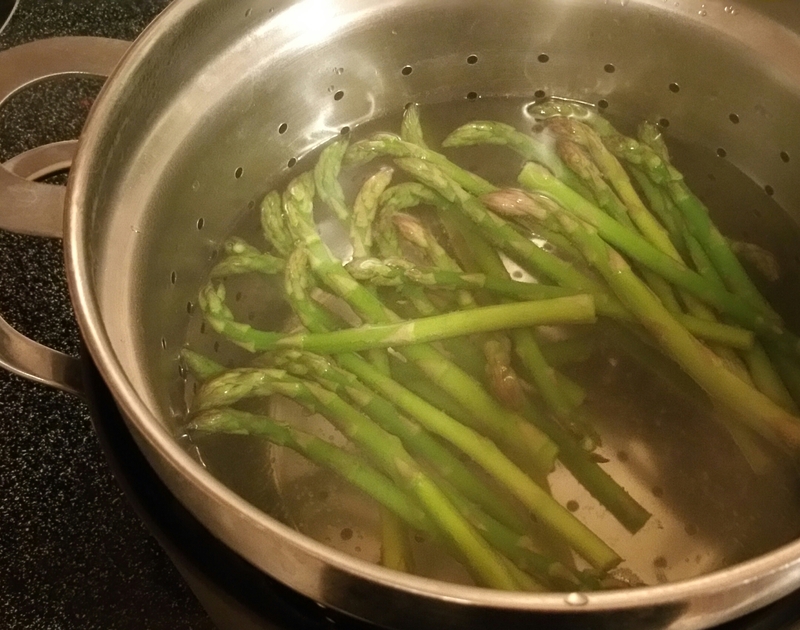 Medium or thick spears may take two or three minutes, but do not overcook. 4. Remove asparagus from boiling water and submerge it in cold or ice water to stop the cooking process. 5. Drain and refrigerate until completely chilled. It’s that SIMPLE. 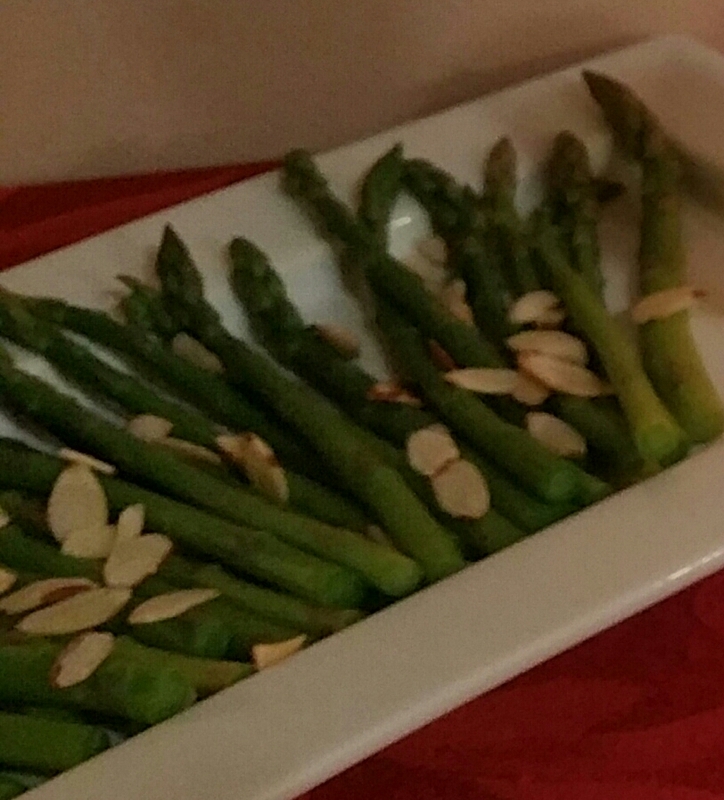 For a printable version, click Blanched Asparagus Recipe.